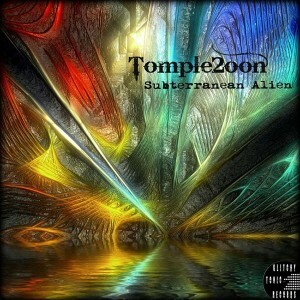 Glitchy.Tonic.Records presents Subterranean Alien, a new release by Tomple2oon. Your trip into this subterranean world is bound to be different from any other. Providing a colourful display of sound and textures, here lurks the solid funky bass alien, looking to make contact with your cerebral appendage. Be ready for experimental terrain and extraterrestrial grooves, slabs of gnarly bass accompanied by a healthy and unique range of frequencies, digitally mutated for this adventure into the subterranean subconscious. Mastered at Anti-Logic, Berlin, with artwork by Xymonau. MP3 Download | FLAC Download | WAV Download · Download count: 8,282. Its amazing!! Truly out of this world! Track 2 is killer! Love this production! Well done!